I have never said that I knew everything about British television. In fact, what keeps me interested in this subject is watching new things all the time. I love watching programs I’ve never seen before that includes actors that I have enjoyed in other series. My major area of interest for British television is generally focused from the 1950s to 1990s. Some of the newer programs may have been lost on me. A lot of casual British television fans have probably seen more of the newer programs than I have but that’s fine. I am watching stuff I have never seen before and am enjoying it. 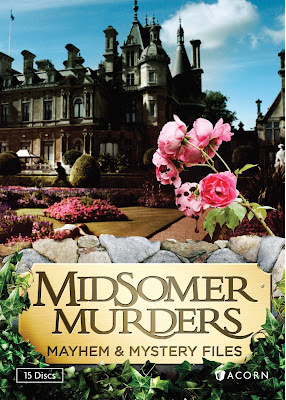 Probably one of the biggest revelations I’ve had in a long time was setting my eyes on this new set of Midsomer Murders: Mayhem & Mystery Files. Now, when I got this set I knew that there was a really good chance that I would like it. The set that was sent to me focused on Series 10 & 11. If a show had been around for at least 10 or 11 series, they must be doing something right. These series have been previously released on DVD as sets 13, 14, 15, and 16. Acorn Media has been doing a good job with bundling up previous series in tighter sets that take up less room. 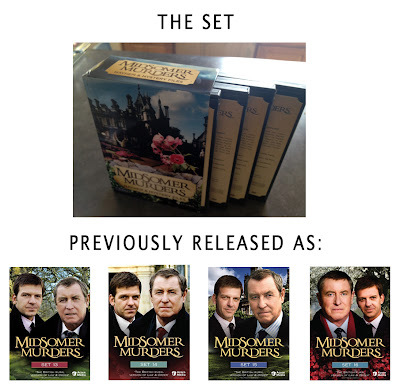 They previously released Midsomer Murders: The Early Case Collection (previously sets 1, 2, 3, and 5), Midsomer Murders: Barnaby’s Casebook (previously sets 4, 6, 7 and, 8) and Midsomer Murders: Village Case Files (previously sets 9, 10, 11, and 12). This makes a nice little package of episodes to enjoy. The most recent set Midsomer Murders: Mayhem & Mystery Files was released on September 25th. It has taken me a while to put this review up simply because there are 25 hours of material to this set. That is a total of 15 cases to be solved. I even took time off work from my full-time job to watch this. Was it worth it? Of course it was worth it! If you have not seen this series before like myself, you may be wondering what was it like to start into it 10 series after it started. It’s not hard at all. It is very easy to get involved with this series. The first episode I watched was the first episode on the set Dance with the Dead. 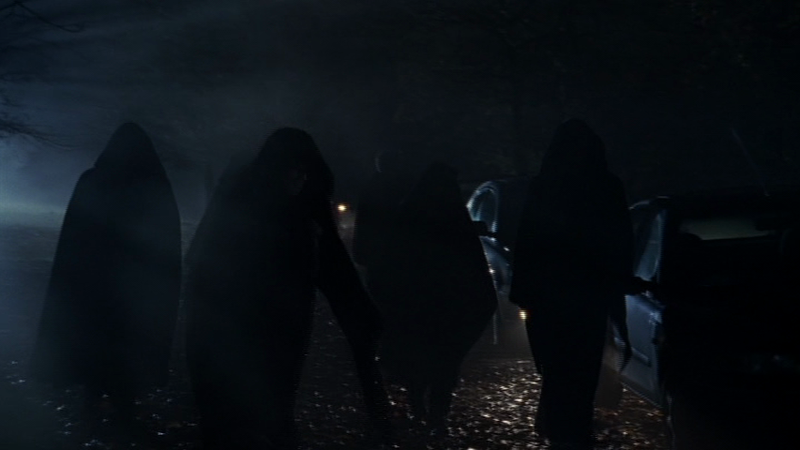 The one thing I knew about this series was that it took place in Midsomer. I wrongly thought that Midsomer was a village and had wondered how all of these murders could take place in the one village of Midsomer. I did need to do a little bit of research to see what that was all about. Midsomer is an English county, fictional of course. There are about 56 villages within the county of Midsomer. The two detectives we follow throughout this set are Chief Inspector Tom Barnaby and Sgt. Benjamin Jones. Barnaby has been around since the beginning of the series. For the role he plays, he is very patient and fair. He is immediately likeable. As I go further into this set, I get more background on not only Barnaby but also his family. Through this set I meet his wife, Joyce and their daughter Cully. In this set Cully even meets and marries her future husband Simon. This series has a lot of Barnaby’s family in it yet they don’t intrude into the story. Midsomer is a large county but also intimate. Barnaby knows a lot of people in it and is involved in the community such as in Death in a Chocolate Box where the murders are connected with people he had worked with previously but also with a couple of people he had convicted and help reform. 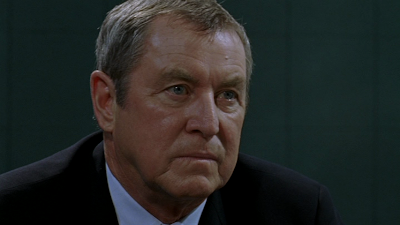 John Nettles starred in this series since the very beginning. One of his biggest claims to fame which hasn’t really shown up in the US is the series Bergerac. Nettles had been with the series since its start in 1997 and he really is a comforting force in the series. There doesn’t seem to be anything that really threw Barnaby. He has a great memory recall that helps him figure out his cases. Sometimes he notices very obscure details things that lead to big revelations such as how he solves Picture of Innocence but yet it seems plausible. 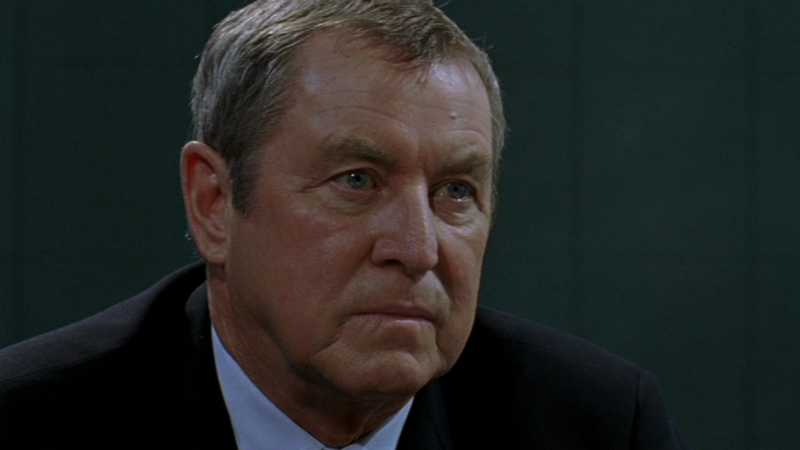 I understand that John Nettles left the series after Series 13. All the episodes on this set contain episodes with John Nettles as these are from Series 10 & 11. Barnaby’s partner Sgt. Jones is very loyal to Barnaby. They work well together but Jones is able to get some light-hearted jabs in on Barnaby especially when Jones learns about Barnaby’s rock band days in The Axeman Cometh. On the surface, Barnaby doesn’t seem like someone who could rock it out but he does! In Picture of Innocence, Barnaby is taken off a case because his name keeps showing up in all the evidence. Jones knows that Barnaby is not involved in the case as implied and does what he can to keep Barnaby informed and help clear Barnaby’s name. For me, and I am sure many others, one of the most enjoyable aspects of this series are the locations. Midsomer County is made up of a lot of picturesque quaint English villages. The scenery is simply beautiful. Right from the start in Dance with the Dead, there is an old disused WWII airbase, a farm, a small village with narrow roads. It’s wonderful. There is not a skyscraper in sight! In a lot of episodes there is a lot of greenery and open fields. I mentioned in a previous review, Special Branch – Set 1, that those locations are gritty but here it is interesting to have this often gruesome murders set in the background of these quaint and beautiful English villages. Clearly that’s a major selling point in making this series so good but also makes the murders and situations more malevolent. What evil is lurking deep within these old country villages? The stories themselves are really quite good. I admit I am no good at figuring out the murderer and sometimes it is really difficult. Some of the resolutions to these mysteries are really surprising but plausible. When some of the murderers are revealed, I didn’t scratch my head thinking where this came from. It all seemed to make some sense. Ultimately, some of the endings are sad as some of the murders are unintentional and things got out of control after that. Of course, some are fueled by just plain old-fashioned revenge. In the beginning of the series, a lot of the series was written by Anthony Horowitz. He had written a lot of amazing things like adaptations for Poirot and created Foyle’s War. 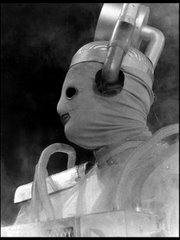 Episodes from Series 10 & 11 were written by David Hoskins, Steve Trafford, Barry Purchese, David Lawrence and Peter J. Hammond. He is also known as PJ Hammond and created the beloved series Sapphire & Steel. These episodes feature a lot of names that I recognized from other series and that is one of my favorite things when watching these series. Guest stars include: Harriet Thorpe, Suzi Quatro, Phil Davis, Philip Madoc, Stephanie Cole, Gareth Thomas, Liza Goddard, Chris Barrie, Samantha Bond, Simon Williams, and Tim Piggot-Smith. There are some great performances in this one, I particularly found Chris Barrie’s interesting and he appears in Death in a Chocolate Box. One thing I noticed immediately when I watched this was the music. The theme music has a spooky sort of vibe to it but it was the incidental music that caught my attention. There were certain “hooks” in the music that was a sort of a clarinet that would lead into a piece of music. It sound to me like similar music I heard in House of Cards. That is because the music is composed by Jim Parker who did House of Cards. The music, just like in the House of Cards, is a highlight to the production. It stands out without being intrusive. It fits the feel and tone of the series perfectly and adds atmosphere to the series. It’s so good that 3 soundtracks have been released for this series. Jim Parker also did the music for Foyle’s War but one of my favorite scores he did for television was Mapp & Lucia. I would love to own a soundtrack of music for House of Cards and Mapp & Lucia. Jim Parker is a very talented man and helps make this series superb! There is a Caroline Graham (the author of the books this series is based on), production notes, and a photo gallery. The most interesting is a commentary on The Magician’s Nephew with John Nettles and Jane Wymark (Joyce Barnaby). This was previously available on Set 16 but is new and very enjoyable to me. I am not a huge commentary fan but when it is just one episode on a set, I think that it is just fine. I enjoyed listening to them talk about the episode and the series. Multiple commentaries to me almost feel overwhelming so this, to me, was perfect. These episodes were made between 2006 and 2008. This series was made in SD (standard definition) so the fact that they were released on SD DVD is perfectly reasonable. They look great and have been released in their native 16:9 format. Being made in the 21st century, the best sorts of tools have been applied in post-production to make this look as good as it can. Color grading looks fine. 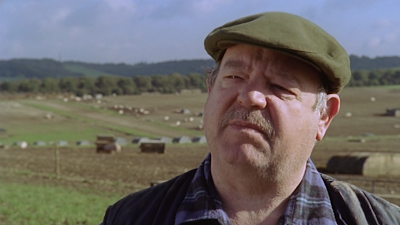 Especially when out in the fields where greens and yellows are sufficiently bright or when the series goes up to Wales such as the episode Death and Dust. I have no complaints about the quality. Plus the fact that it had been shot on 16mm film gives hope that someday (if all the film material still exists) this can be rebuilt into HD for possible Blu ray releases in the future. This comes in a very simple and effective packaging of four regular amary size cases (each one holding 3 to 4 discs) housed in a larger cardboard box. 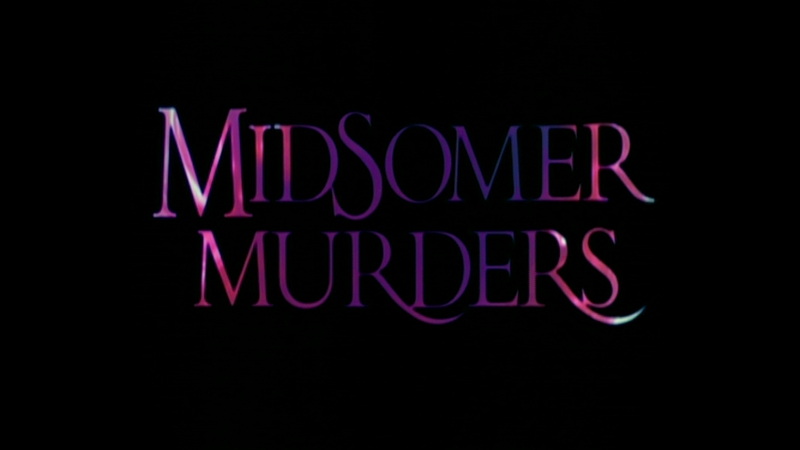 This is very similar to the other three Midsomer Murder sets I mentioned above. Each one has a photo of some very English village building whether it is a mansion or an old English church. To me, they convey that feeling I mentioned earlier of the quaint English village but the question is what is really going on within those walls? The package makes this set very compact and easy to store. If you are like me and you haven’t seen this series before, these box sets are the best way to do it. I have no regrets starting with Series 10. 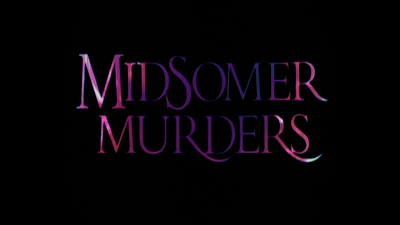 It was very easy to get into and I thought these episodes were a great introduction to the established characters and the county of Midsomer. If you have the sets already, this is a nice compact way of having all of these episodes at your fingertips. I can easily see me going through these episodes again on a quiet winter Sunday evening. This is highly recommended. This week: This week I will be posting my review for the complete series of Acorn Media’s Thomas & Sarah as well as the first article of my Bond @ 50 theme: Dr. No.